All our fascias, soffits and guttering are completely weather proof and use the latest uPVC technology to provide you with a durable and high performing roofline. You can be assured that when Starglaze replace your fascias, soffits and guttering that your new roofline will be a lasting solution. Our tough and durable uPVC roofline replacements offer long term protection against the elements whilst giving your roofline a neat and clean finish. 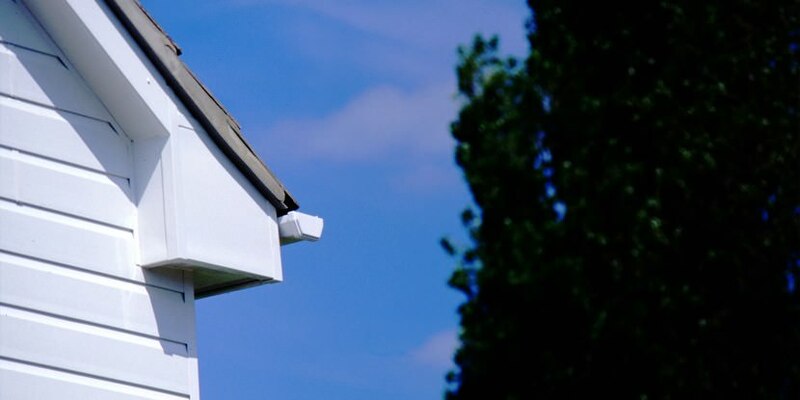 Our fascias, soffits and guttering are available to customers in Lincoln, Nottingham, Newark and surrounding areas, so contact us today for a free, no obligation quote. The fascias of your property work to protect your timber rafters from outside elements and are a very important feature of your roofline. Inadequately protected rafters will be left vulnerable to rot caused by water ingress and they can be very costly and time consuming to repair. Our fascias are highly weather resistant, guarding your roof and walls from daily wear and tear. Their durable and high performing uPVC materials are guaranteed never to rot or warp, providing long lasting protection. You can be assured that Starglaze will always replace your old fascias. We never ‘cap over’ your existing ones – this is extremely bad practice and can lead to problems further down the line. We don’t believe in hiding an underlying problem, instead our experts will fix the job at hand. All our fascias are ventilated to ensure your roof receives effective air flow to prevent condensation from building up. 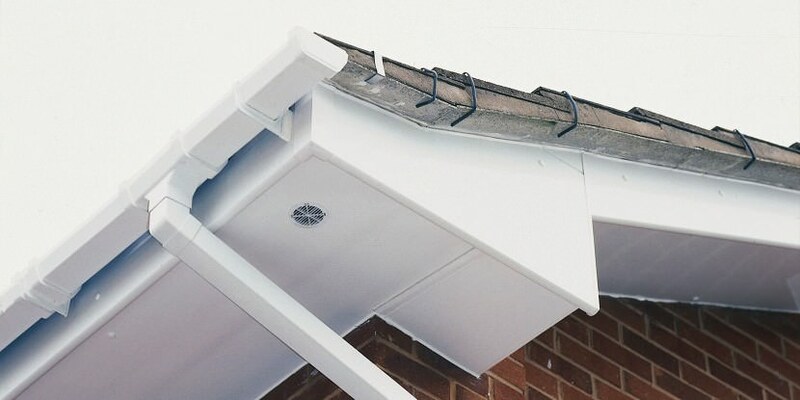 Our fascias are also supplied with bird combs as standard, preventing birds and other pests from gaining access to your roof and causing damage. All our fascias are available in a range of colours to complement your home and are also supported by our 10 year parts and workmanship guarantee. Designed to cover the gap between your fascias and the side of your home, soffits ensure your roofline has a clean and tidy finish. Like all our roofline products, our soffits are available in a range of colours to complement your home and are supported by a 10 year product guarantee. 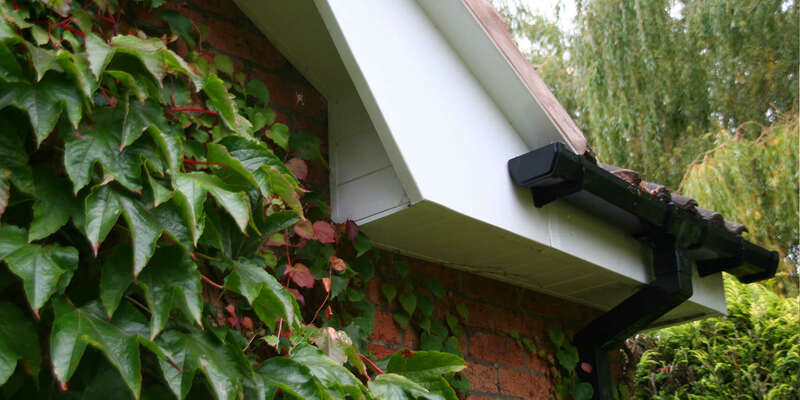 Old guttering can be time consuming to repair and maintain, especially a blocked or leaking gutter which can spoil the aesthetic of your roofline. Our replacement guttering is made from high quality uPVC which is designed to divert rainwater away from your roofline, giving your property the ultimate protection from water damage. When we install our guttering, we ensure water flows freely into your downpipe rather than sitting in the gutter and stagnating. We also provide optional leaf guards for all our gutters. Our leaf guards make sure that your guttering is free from debris and leaf build up, preventing water blockage. Cladding that is peeling or has become rotten over time can ruin the overall appearance of your roofline. Not to mention expensive and time consuming to repair and maintain. We install an extremely tough, durable and breathable membrane behind our cladding which ensures your home is fully protected from the outside elements. It’s extremely low maintenance too. We also install downpipes which are a very important part of your roofline. Without effective downpipes, water can penetrate your roof causing untold damage, maybe even affecting the foundations of your home. Our downpipes work as an effective drainage system and when coupled with our gutters, they will drain water superbly. If you have any questions or need any information you can also get in touch with us on 01522 512020 for helpful advice. If you would prefer to get in touch online, fill out our online contact form or drop us an email at sales@starglaze-windows.com.